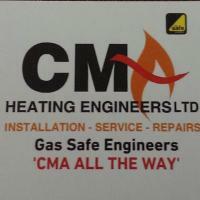 CMA Heating Engineers LTD are Gas Safe registered heating engineers who supply and install gas boilers. For similar replacement boiler companies in this area please visit the Pudsey boiler page. CMA Heating Engineers LTD is a family run business, which specialise in all aspects of Gas (services, repairs, installs & maintenence). We offer a professional service and all our engineers are Gas Safe registered. We also work on a 24/7 basis & always put the customer first. For help with your gas service please call us and one of our engineers will be with you immediately.